I will start by letting you know that this jacket is in rough shape and is being sold as-found. 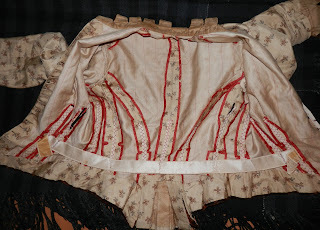 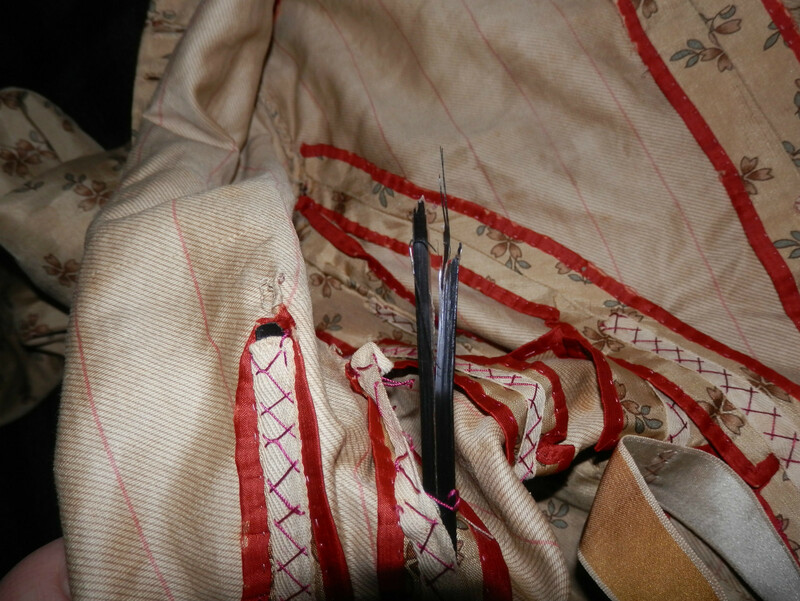 All of the buttons are ripped off except two, there are tears, wear, stains, moth holes, etc; it was worn for a play and held together. 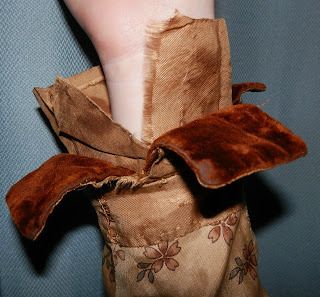 It is made of brown floral print silk with brown silk velvet trim. The tag inside reads "Altman & Co New York" (I think, the first letter is cut off). 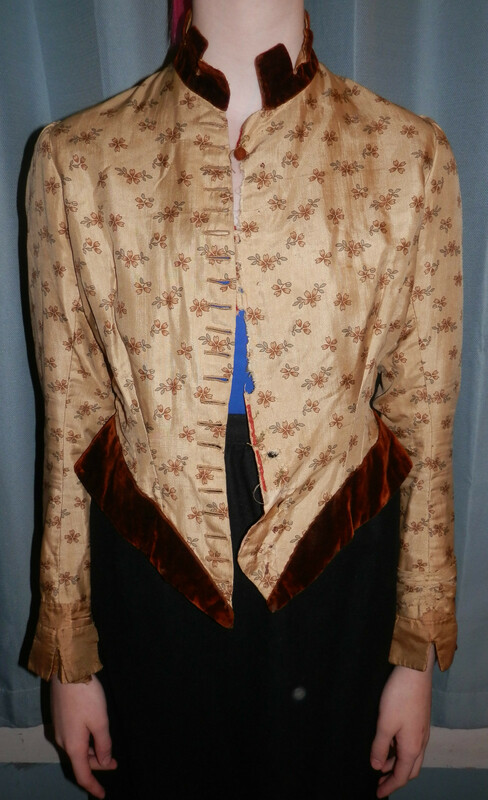 The measurements are as follows: shoulder to shoulder - 13", bust - 36", waist - 27", sleeve length from shoulder - 23.5", jacket length from back of neck - 19". 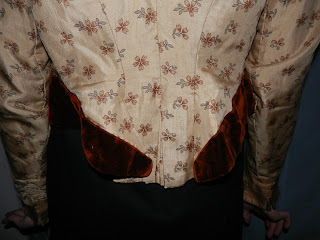 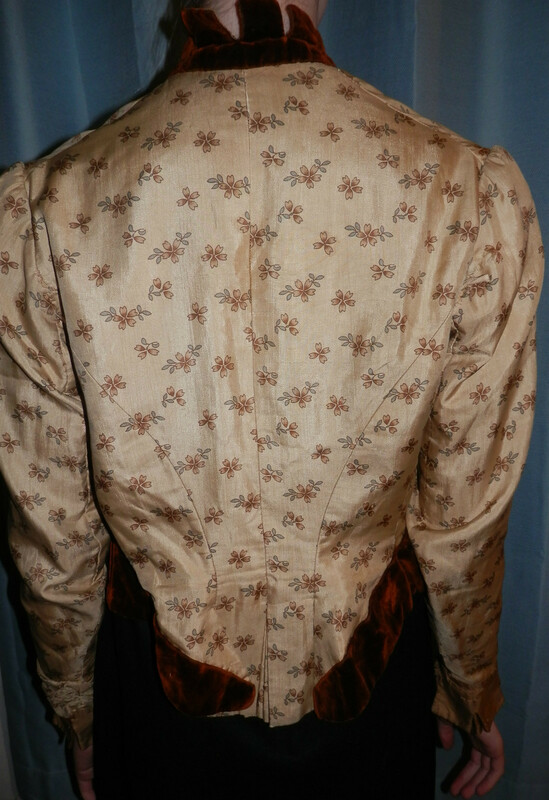 If you look at the sleeves from the back, they look like early 1890's sleeves.